COLLECT : The I&I team begins by collecting information. This could entail interviews with the person(s) making the claim. It could also mean seeking out corroborating evidence without compromising their confidentiality. ANALYZE : An analyst is assigned to the case along with a scientific expert, if necessary. Their job is to assess the quality of the information and the source. INVESTIGATE : The investigation phase involves coordinating with internal WADA teams as well as external partners like National Anti Doping Organizations, International Federations and law enforcement. CONCLUDE : Following an investigation of the claim, it is determined whether the case requires additional follow-up or whether the case can be closed. Intelligence and Investigations (I&I) department dedicated to gathering intelligence and conducting investigations surrounding doping allegations was created in 2016. The six-person team, led by the Director, Intelligence and Investigations, is comprised of two full time investigators, two full-time data analysts and one coordinator. The team is independent from WADA management, ensuring an arm’s length approach. An I&I policy was also developed; and, was subsequently approved by the WADA Foundation Board in May 2017. The Policy outlines how the I&I team will perform its work and conduct investigations as per the outlines of investigation. Whistleblower Program and the Policy that guarantees whistleblowers’ confidentiality was also developed last year such that the allegations are investigated , the progress is informed of and, that their rights are protected. 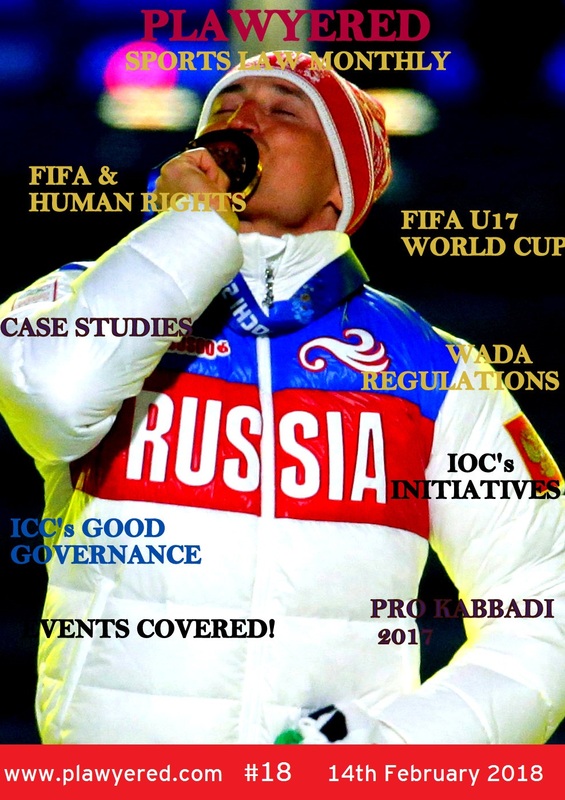 In March 2017, WADA launched Speak Up!, a new, secure digital platform intended for athletes and others to report alleged Anti-Doping Rule Violations under the Code; non-compliance violations under the Code; or, any act or omission that could undermine the fight against doping in sport. The Speak Up! platform includes a secure app for iPhone and Android phones, currently available in beta version on the App Store and Google Play. WADA and Interpol announced an Interpol initiative named Project Energia in October 2016 aimed at helping member countries understand and combat the trafficking of performance-enhancing drugs through targeted criminal analysis. It is supported by WADA and the School of Criminal Science at the University of Lausanne (UNIL) and focuses on substances used with the exclusive aim of improving physical fitness and athletic performance.